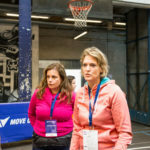 At the MOVE Congress 2015, which took place from 5-7 November, Copenhagen’s popular street sport facility, GAME, turned into arena for innovative practices that are driving the global grassroots sport movement forward. 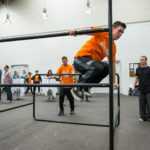 The event, organised by the International Sport and Culture Association (ISCA), is one of the few conferences in the world that focuses solely on recreational sport and physical activity. 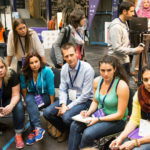 It gathered 270 delegates from 41 countries to exchange best practices and discuss further cross-sector collaboration that can motivate more people to be physically active. 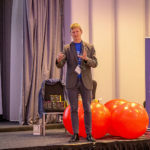 The initiatives featured at the Congress were grouped under one of the sub-themes “Innovate”, which outlined new trends, effective campaigns, sustainable events and new facilities that encourage participation in sport and physical activity. We present some of the highlights of these sessions. 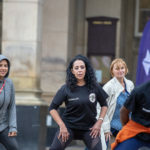 Children, women, elderly people and people from socially disadvantaged areas are a special target for many organisations working in the areas of physical activity, culture and social issues. Despite many of these people wanting to have an active lifestyle, they are often restricted by various barriers. As the practice of physical activity is a fundamental human right, as ISCA President Mogens Kirkeby pointed out in the Advocate plenary session of the MOVE Congress, many local organisations, volunteers, authorities and other partners have been developing effective programmes to encourage and involve hard-to-reach groups into sustainable physical activity routines. The This Girl Can campaign, developed by Sport England, was one high profile example presented at the Congress by Shirin Mehmood (the campaign’s representative in Birmingham) and Karen Creavin (pictured left) from Birmingham City Council in the UK. The Us Girls programme, developed by Street Games, also in the UK, was presented by Kerry McDonald as another effective ways of getting girls active. These campaigns are aiming to tackle the 27% gender gap in the UK between physically active males and females. Successful practices involving elderly people in active lifestyles that are being carried out in partnership between volunteers, local hospitals and municipalities were presented by Gerry Campbell from South Lanarkshire Leisure and Culture in Scotland, Ingrid Peeters (pictured at top of article with workshop participants) from OKRA Sport, Belgium, and Jette Nielsen from the Municipality of Greve, Denmark. Children and schools are another domain where active participation in sport is becoming more necessary than ever. A recent ISCA study showed that 4 out of 5 adolescents in Europe are not physically active. Richard Gormley (pictured right) from Ulster University, Belfast, UK, outlined how Sport for life! Flagship programmes are improving local students’ employability by involving them in volunteering programmes that teach children about sport and physical activity. Ákos Füzi from the Hungarian School Sport Federation presented the country’s national school sport day, an initiative that has been running for almost a decade and has grown to around 200,000 participants in Hungary and expanded to three more countries in Europe this year (European School sport Day) under an EU grant. Another school-based initiative running in the UK, National school sport week, has also taken place for 9 years, and is a week fully dedicated to sport on the schools’ agenda. The campaign, organised by Youth Sport Trust UK, was presented to the MOVE Congress delegates by Jennie Jordan. 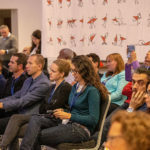 The expansion of a worldwide running community, outdoor sport trends and mass events encouraging sustainable physical activity participation were other widely discussed topics during the MOVE Congress. Prof. Dr. Jeroen Scheerder from the Policy in Sports & Physical Activity Research Group at KU Leuven, Belgium, presented the highlights of the recent book he co-edited called “Running across Europe – The rise and size of one of the largest sport markets”. He mentioned that among the new trends in participation running was the increase in marathon participants, reaching about 1.6 million marathon finishers worldwide in recent years. According to Mette Madsen from DGI Lab in Denmark, the number of runners in Denmark has doubled in the least 20 years, and is now around 31% of the country’s population. New running trends are leading to new partnerships among citizens, authorities, NGOs, educational institutions and corporate sector. Dr. Sabrina Severi (pictured above) from UISP in Italy, presented an initiative that has grown significantly as a new concept and method of changing habits and improving overall health. The Italian Run 05.30 invites citizens to have a short morning 5km run and the participants are in turn building a new healthy lifestyle community. Examples of mass events targeting involvement of the broader public in regular physical activity at the Congress included the successful Copenhagen Half Marathon 2014, which Jakob Larsen from the Danish Athletics Federation in Denmark presented.. Another, the 121 km Cycloway (Ciclovia) in Bogota, Colombia, has had a transformational effect on citizens in the city over the last 40 years. Oscar Ruiz from the District Institute of Sports and Recreation (IDRD) in Bogota outlined the local and international social effects that this road had in the region. 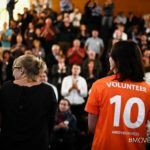 Sabina Steinunn Halldórsdóttir from UMFI in Iceland, presented one of the most inspiring examples of MOVE Week in Iceland, which triggered a swimming competition among 32 municipalities. Grassroots sport trends often rely on new approaches to facility construction and management. 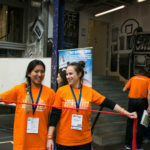 The Congress’ interactive on-site and off-site tours of Copenhagen facilities and urban planning showed how municipalities are working together with local sport organisations to integrate physical activity into citizens’ every day environments. The MOVE Congress 2015 concluded with a special study tour offering an exclusive behind-the-scenes view of new sport and physical activity facilities in Copenhagen, led by Oliver Vanges from the Danish Foundation for Culture and Sports Facilities (Lokale og Anlægsfonden).